Cardiolipin (CL) exists as crucial functional phospholipid in mitochondria. The oxidation of CL is concerned with mitochondrial dysfunction and various diseases. As main oxidation products, CL hydroperoxide (CL-OOH) plays a key role in intermediating oxidative reaction. Thus, direct analysis of CL-OOH is of great interest. 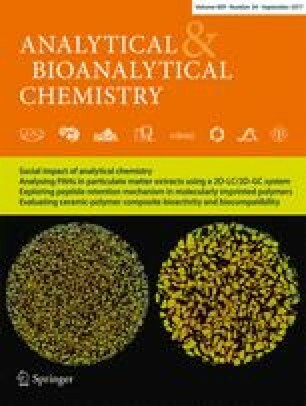 In the present study, CL and CL-OOH profiles were analyzed in oxidized HepG2 cell lipid via HPLC-Orbitrap MS/MS. Furthermore, the contents of individual molecular species were compared between intact and AAPH-oxidized HepG2 cells. In total, 46 CL and 18 CL-OOH were identified from oxidized cell lipids, while 21 CL and 9 CL-OOH were detected in AAPH-treated cells. Most CL depleted significantly after AAPH inducement, with percentages varying from 8.3% (CL70:7) to 73.7% (CL72:4), depending on fatty acyl composition. While almost all the CL-OOH remarkably increased, among them 68:6-, 72:6-, and 72:7-OOHs were only detected in AAPH-treated cells. CL68:5- and CL68:4-OOH were the most abundant species, while CL70:5-OOH among all the species expressed the highest oxidation percentage of the corresponding CL. Our results showed practical separation, identification, and semi-quantitation of CL-OOH species, which could contribute to approaches to lipidomic analysis of CL and CL-OOH, as well as tracing biomarkers in mitochondrial oxidative stress diagnosis. The online version of this article (doi: 10.1007/s00216-017-0515-3) contains supplementary material, which is available to authorized users. This study was supported by a Grant-in-Aid for Scientific Research from the Japan Society for the Promotion of Science, by the Regional Innovation Strategy Support Program, Sapporo Health Innovation “Smart-H”, of the Ministry of Education, Culture, Sports, Science and Technology, Japan.